With the aim of becoming a cyber island and making Information and Communications Technology (ICT) one of the main pillars of the economy, the government of Mauritius has been investing huge sums of money in ICT projects. For instance, in 2009 ICT investments accounted for 5.7% of the total share of the Gross Domestic Product (GDP). Given this situation, it becomes crucial to evaluate ICT investments, and as such, the main aim of this paper is to investigate the existing methods used in the evaluation of ICT investments in the public sector and propose a framework for the evaluation process. 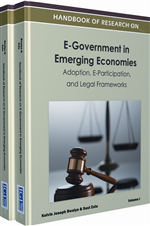 The main contribution of this work lies in the fact that evaluation of ICT projects in the public sector has remained an unexplored area, and even in the context of the private sector, most studies have concentrated on developed countries. The main results from the survey carried out in the 22 ministries reveal that Payback Period (PB) and Accounting Rate of Return (ARR) are the main financial criteria used for the evaluation. The survey also shows that the major factors, which are prioritised during evaluation process, are the relevant costs, risks, and benefits. Based on the research findings, this chapter also proposes a framework for evaluating investments in ICT projects by the public sector. To be part of the digital globe and irrespective of their developing status, countries worldwide have embraced ICT, making it the world's fastest growing international industry with global revenues in excess of $3 trillion (ITU, 2011). According to the International Telecommunication Union (ITU, 2008), ICT spending is predicted to grow at a compound annual rate of 7.7% through to the end of the year 2011, and the highest share (59%) of ICT spending goes to investment in communications technology. Mauritius is a small economy, which, according to the Global Information and Technology Report of 2007-2008, has the best attributes of a network-readiness index in the African region, and is following this global trend. In fact, the ICT sector has been branded as the new avenue for the economic prosperity of Mauritius. The importance of ICT as an enabler to help achieve government efficiency fulfills its mission towards integration of the government, the business community, and the society so that all parties participate in the governance processes. Consequently, the investment envelope channeled onto ICT projects is very considerable and this may culminate into other developmental projects such as general community sanitation. For instance, investment to the tune of US$ 100 million has been provided for the development of a Cyber City and development of e-Education and e-Government programmes. In 2007, Value Added Tax (VAT) generated by the ICT sector was Rs 11.7 billion (USD 0.4 billion), while the contribution to the Gross Domestic Product (GDP) was 5.7% in 2007 compared to 4.8% in 2002, as can be seen in Table 1. The sector has been registering a 2-digit figure annual growth during the period 2002 to 2007. Furthermore, it is expected that exports turnover in the ICT sector will surge from Rs 2.8 million (USD 0.094 million) to Rs 18 billion (USD 0.60 million) and that Human Resource (HR) requirements will increase from 7,000 to 35,000 people from 2007 to 2010, respectively. Tangible Benefits: are those benefits which can be measured in monetary terms. Intangible Benefits: are those benefits which cannot be measured in monetary terms but they do have a very significant business impact. ICT Investment: An organizational investment employing or producing IT or IT-related assets. Information and Communication Technology (ICT): Consists of all technical means used to handle information and aid communication, including computer and network hardware, communication middleware as well as necessary software.